This individual and spacious 4 bedroom apartment has been amalgamated from 2 original 2 bedroom apartments that covers the whole of the 6th floor. There is special access by the lift that opens to a private entrance lobby that in turn gives access to a spacious lounge/diner, fitted kitchen with built-in appliances, 2 double bedrooms and a bathroom/wc. 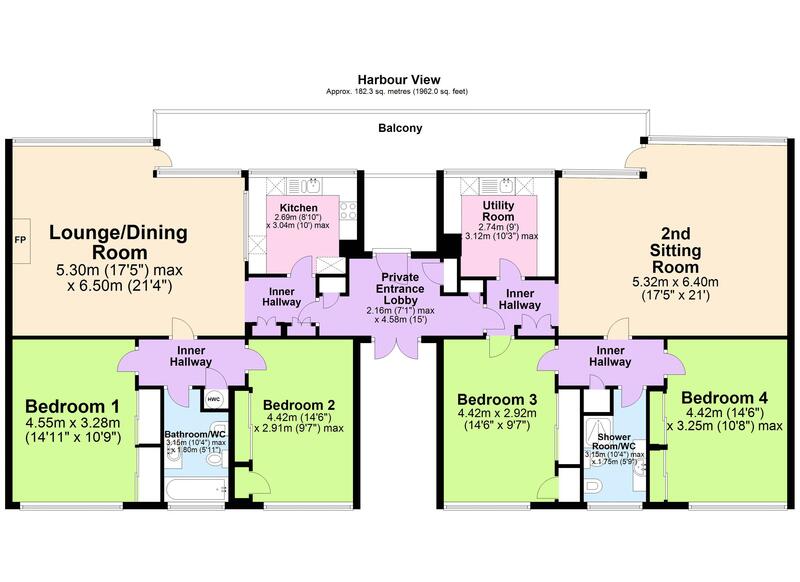 There is an impressive enclosed balcony that gives access to the 2nd sitting room with separate utility off, and 2 further double bedrooms and a shower room/wc. The entire living area boasts some fabulous sea and coastal views and must be seen to fully appreciate it. Outside there are 2 single garages, communal parking area and well maintained communal gardens. The spacious apartment occupies a popular residential position overlooking Torquay harbour and marina and its within approximately one mile of Torquay town centre with its array of shops, facilities and amenities and within easy access to the re-developed Abbey Sands with it’s boutique bars and restaurants. 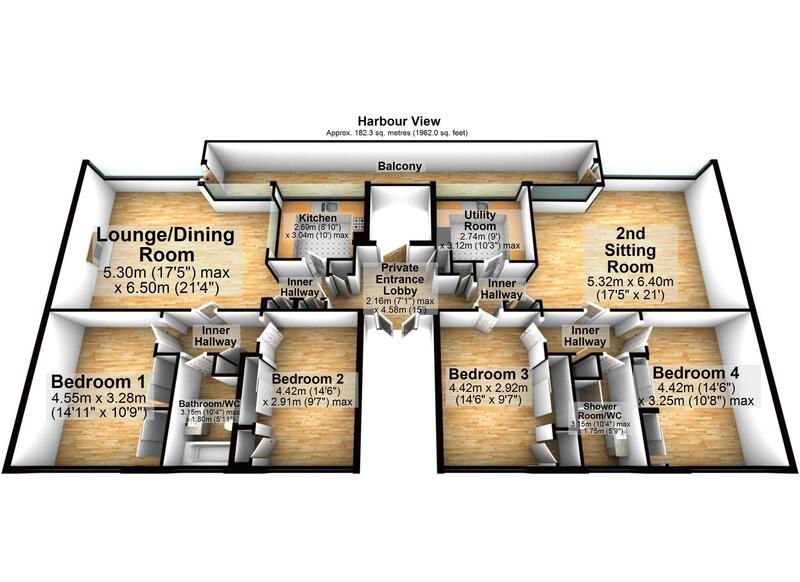 An internal viewing is highly recommended to appreciate the size, position and views the accommodation boasts.